Government is going into its 32nd day of shutdown. Some federal workers will soon be missing their second straight paycheck. The DeKalb County Community Gardens is offering furloughed or working without pay federal workers free food until the government shutdown ends. 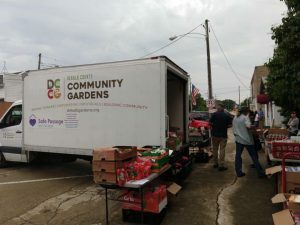 “Through our Grow Mobile Program and our partnership with Northern Illinois Food Bank, DCCG is offering all struggling federal workers to contact us and our mobile pantry will provide them with free food,” said Dan Kenney, Executive Director of DeKalb County Community Gardens. The Grow Mobile Program in its second year has distributed over 250,000 pounds of food to food insecure individuals, and families throughout DeKalb County. The organization holds weekly mobile pantries in Kingston, Sandwich, University Neighborhood of DeKalb, and other locations around the County. “People who work hard for us as public servants should not be struggling to feed their families. 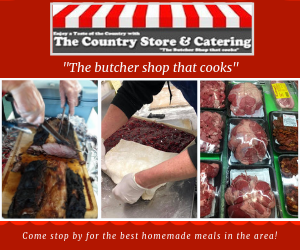 Contact us and we will make sure you have food,” Kenney said. If you are a federal employee and are struggling without pay to feed your family you can call DCCG at (815) 793-0950, or send an email to dkenney@dekalbgardens.org or visit the DCCG website at www.dekalbgardens.org.